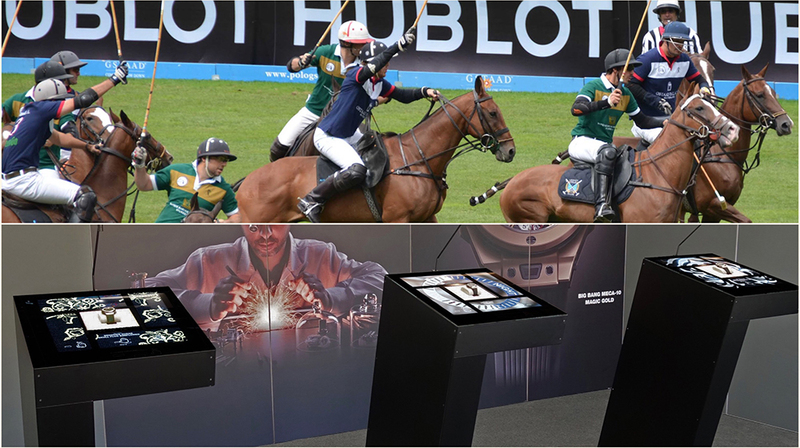 Fusion Display Case at the Hublot Polo Gstaad: A new means of presenting a product. A new means of presenting a product. The Fusion concept combines a furtive system with the SCR (Security C-Ring). This is an original method of presenting products, inserted in tables or counters like paintings on a wall. 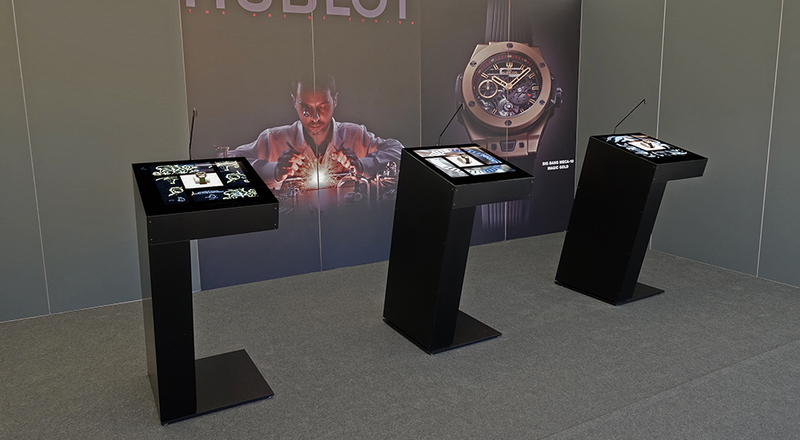 Four screens showcase the product while telling stories. You can stand only a few centimeters away but beware: no touching! The product goes into automatic protection mode in only 1/10 second. Change products and worlds by swiping your hand above the 2 sensors. 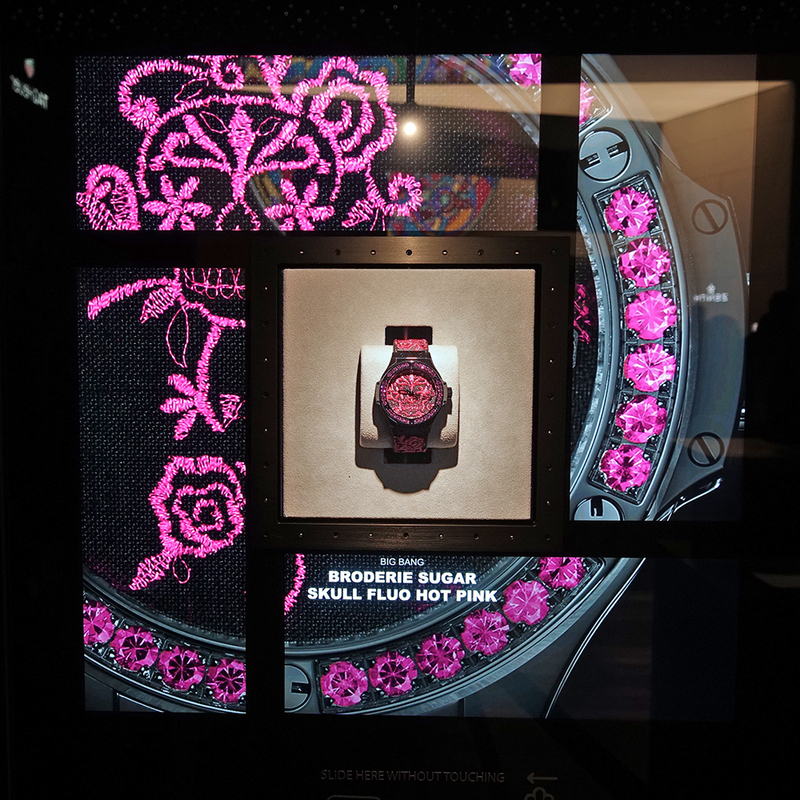 The embroidery is woven across the 4 screens. An animation full of poetry and color. Yellow changes to fuchsia in 1/10 second. 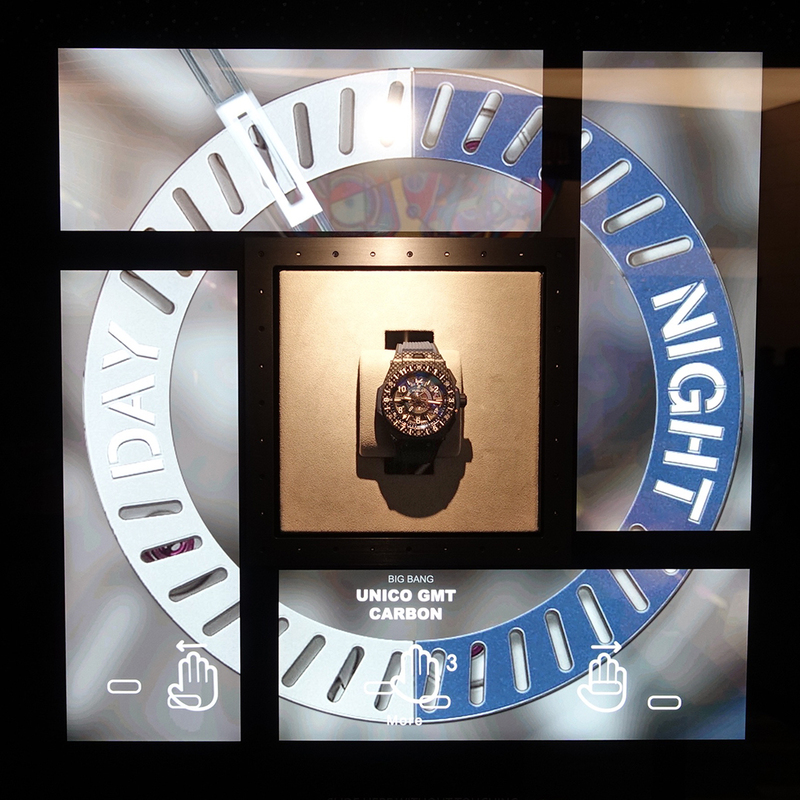 The GMT screen is shown close up, split across the 4 screens of the display. Switch from day to night at the swipe of your hand.